Gaming laptops are the product of relentless engineering and are some of the most high-end laptops in terms of their configuration. The makers of these laptops have to focus on not only performance and quality, but also portability. Having gained a lot of popularity over the years, gaming laptops are now produced by a number of computer manufacturing companies, and cshoosing the right one is not always easy. Here’s a look at the top 5 gaming laptops in the Indian market. Dell Alienware M17x Armed with some of the best hardware in the market today, this Dell laptop is sure to extend its arms and reach into your deep pockets, but it will be money well spent. The makers have also done well to equip this laptop with a considerable amount of portability to help out gamers who are always on the move. It is evident that Dell and Alienware were thinking only of top-notch performance while designing this beast of a machine. The M17x offers Intel Core i7 processors and Dual ATI Mobility Radeon 5870 graphics, with a total memory of 2GB. The customization options in the Alienware Command Center software enable users to configure power usage, lighting customization and disable unnecessary programs while playing games. Perhaps the only downside of this Dell laptop is its battery, which lasts just for an hour. Asus G73 Featuring a 17.3” LED display, the ASUS G73 is a gaming laptop appropriate for the Indian masses. Its configuration is pretty high-end, but its price is way cheaper than the Dell Alienware M17x. 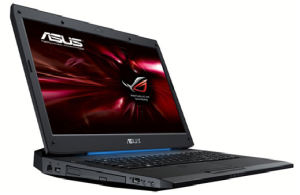 The ASUS G73 offers Intel Core i7 or i5 processors, depending on the choice of the customer. The laptop supports memory upto 16GB GDDR3 RAM. Graphics-wise, the laptop boasts of the Radeon HD 5870, which is good enough to run all the latest games without much hassle. The G73 offers a comparatively better battery life than the Dell Alienware M17x. 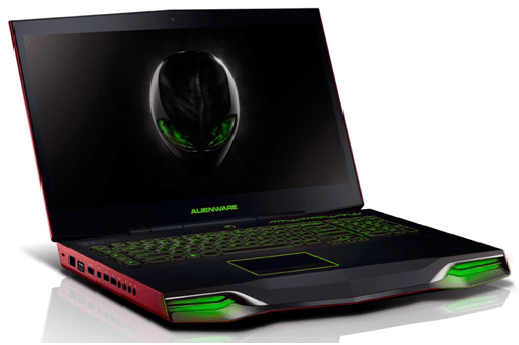 Dell Alienware M18x The Dell Alienware M18x, quite simply put, is a performance monster. This heavyweight gaming laptop boasts of an 18” monitor, and is massive especially when compared to other laptops. Not really meant to be carried around, this Dell laptop sure packs a punch when it comes to running the most resource intensive games and applications. The Dell Alienware M18x is immensely powerful in terms of its processing power. It comes equipped with an overclocked Intel Core i7 processor, with each core running at 4 GHz. In terms of physical memory, it can accommodate up to 32 GB DDR3 RAM running at 1333 Mhz. The laptop comes enabled with NVIDIA GeForce GTX 580M graphics running at 2GB GDDR5. Customers can also choose between Dual GPU options from NVIDIA and AMD. This Dell laptop is undoubtedly the gaming laptop with the best performance at the moment. Samsung Series 7 Gamer The Series 7 Notebook is Samsung’s reply to the Dell Alienware M17x and comes with a 17.3” LED display which is capable of displaying images at 1920x1080, or full HD resolution. 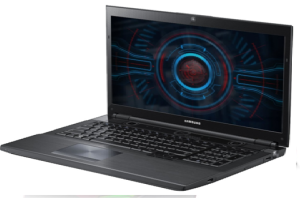 The Samsung Series 7 Gamer boasts of a decent processor, an Intel Core i7 running at 2.30 GHz per core. The total physical memory provided is a mammoth 16 GB DDR3. The storage capacity of the laptop is 1.5 TB. In terms of the onboard graphics, the laptop comes with the powerful NVIDIA GeForce GTX 675 M, which is able enough to handle most recent games pretty well. The unique feature of the laptop is the mode dial just above the keyboard. This mode dial enables users to switch between different modes that are optimized for different conditions. For example, setting the dial to the ‘Gaming’ mode will maximize laptop performance. HP Pavilion dv6 The HP Pavilion dv6 is the best option for users operating within a tight budget. It is powerful enough to run most recent games and applications smoothly, but does not cost a fortune like the Alienware laptops. The HP Pavilion dv6 is a stylish notebook which comes with a decent processor in the form of an Intel Core i7 720QM processor. The graphics are controlled by the ATI Mobility Radeon HD 5650. It comes with 4 GB RAM installed, with the option of installing an additional 4 GB later. The display is a 15.6” LED. 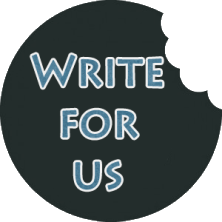 Next post: How to Learn from Your Blogging Rivals?